It is my pleasure to welcome you to the website of the Provincial Grand Lodge of New Zealand under the Grand Lodge of Ancient, Free and Accepted Masons of Ireland. You have visited us either directly or from the Grand Lodge of Ireland website or maybe you have been surfing the net and arrived here by chance. Regardless of your approach we hope that you will find our site interesting and stay a while. New Zealand is a country of extremes and great variations of geography, climate and culture. A very interesting and beautiful country peopled by friendly and proud citizens. The Provincial Grand Lodge of New Zealand is one of the smallest in the Irish Constitution having only four Lodges remaining yet it is one of the largest geographically necessitating long distance travel. It is the oldest Province outside of Ireland having been established in 1859 and one of the Lodges within the Province, Ara No. 348, is the oldest Masonic Lodge in New Zealand of any Constitution and continues to thrive and prosper today. You will find information on our Lodges and the other orders of Irish Freemasonry within this site. In New Zealand, Masonic Lodges and other Masonic orders operate under the Grand Lodges of New Zealand, England, Scotland and Ireland in friendly co-existence and should you be a Freemason visiting this country, you will find much here to interest you. Wherever you travel throughout the country you will be assured a warm welcome. 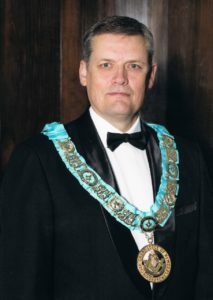 © 2019 Provincial Grand Lodge. All Rights Reserved.